In the 16th match of Indian Premier League 2019 (IPL 2019), Sunrisers Hyderabad (SRH) and Delhi Capitals (DC) faced each other. It was a one-sided match with Sunrisers registering a comfortable win over Capitals. Meanwhile, it is time for another single header in the IPL, but before getting into the details of the start time, live streaming and live score of Royal Challengers Bangalore (RCB) and Kolkata Knight Riders (KKR), we take a look at the IPL 2019 points table scenario below. Royal Challengers Bangalore vs Kolkata Knight Riders Live Cricket Score. Following the win over Capitals, Sunrisers have made it to the top of the IPL 2019 points table. SRH now topples Kings XI Punjab (KXIP) to be at the numero uno spot. Meanwhile, defending champions Chennai Super Kings drop to third. Despite the defeat, Delhi Capitals stay at fifth on the IPL 2019 points table. IPL 2019 Points Table Updated: SRH Topples KXIP on Top of Indian Premier League 12 Team Standings Following Win Over DC. Chasing a paltry target of 130 runs, Sunrisers lost five wickets and complete the chase in 19th over. A superb bowling display by Sunrisers restricted Capitals to 129 in their allowed 20 overs. It was SRH’s third consecutive win while for DC it was second back to back defeat. DC vs SRH Stat Highlights IPL 2019: Sunrisers Hyderabad Complete Hat-trick of Wins, Beat Delhi Capitals. 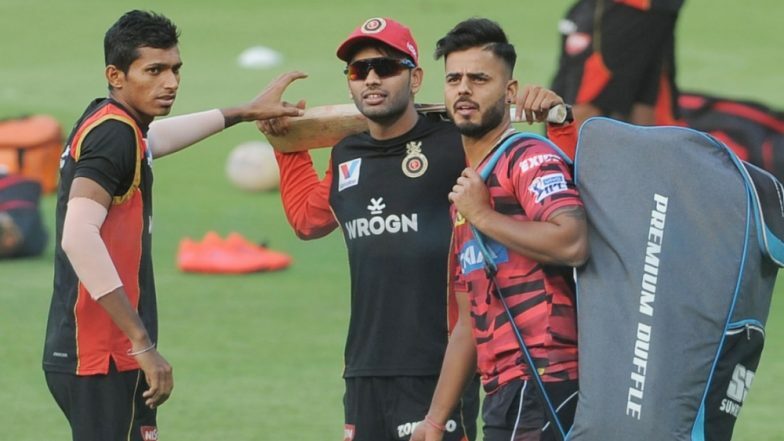 Royal Challengers Bangalore and Kolkata Knight Riders, face-off in the IPL 2019 match 17. It will be played at RCB’s home venue- M.Chinnaswamy Stadium in Bengaluru. The RCB vs KKR is scheduled to begin at 08:00 p.m (IST). Fans can watch the IPL match two both on TV and via online streaming. Star Sports holds the telecast rights of IPL 2019 and will broadcast the match live across its network. The live streaming online of IPL 2019 will be available on Hotstar app and website. Fans can click here, for RCB vs KKR live score updates.